Tyler is from a long line of service industrial techs. 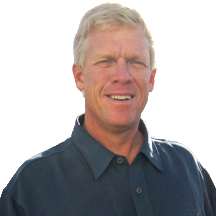 His great-great-grandfather started Wentz Plumbing Heating & Air Conditioning in 1902. Tyler has been involved in the family business since he was old enough to walk. 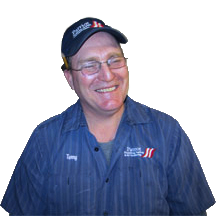 Terry got his start in Kearney, Nebraska working for Losty Plumbing for 6 years. He’s been working as a Plumber for 24 years and is working on his Masters license. Patriot Plumbing, Heating & Air Conditioning has been successfully operating in southeast Nebraska since 2003. In the eight years that Patriot has been operating, we have built an excellent reputation. Offering a variety of services to the customer, Patriot prides itself on its efficient and reliable service at very competitive prices and this is apparent by the extensive list of regular customers who return time after time. Patriot operates two businesses side by side—our plumbing department is responsible for new construction, commercial and residential contracts; and our heating and air department is responsible for new construction commercial and residential contracts. Our vehicles are fully maintained and inspected by the relevant professionals at regular intervals and in-line with current operating guidelines and legislation. This helps to ensure health and safety and reliability. Patriot Plumbing, Heating, & Air Conditioning, its staff and its customers are protected by a fully comprehensive insurance cover. We hope we never need it, but accidents do happen and we take our responsibility to the community around us seriously.